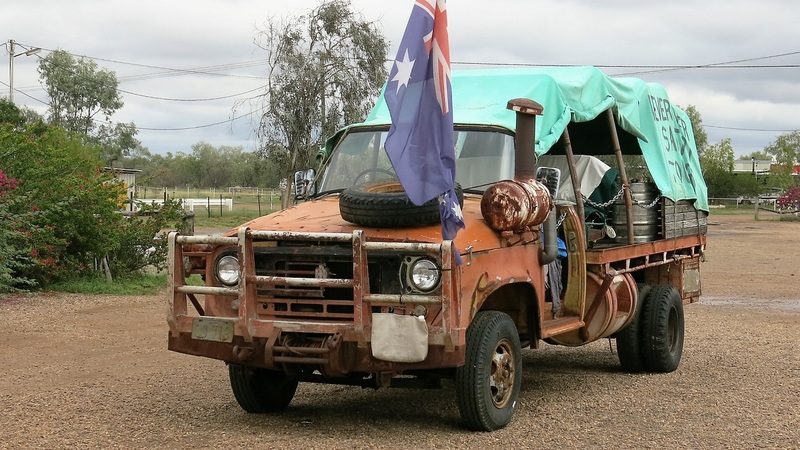 Virtually every movie made in Outback Australia has had a pub as part of the plot. The bush abounds with pubs that have enjoyed movie stardom and some continue to be used in movies. Everything from Priscilla, Queen of the Desert to Welcome to Whoop Whoop and Red Dog have had pubs as a central theme for the action. I recently visited three of the most famous and enjoyed cleansing ale or two along the way. 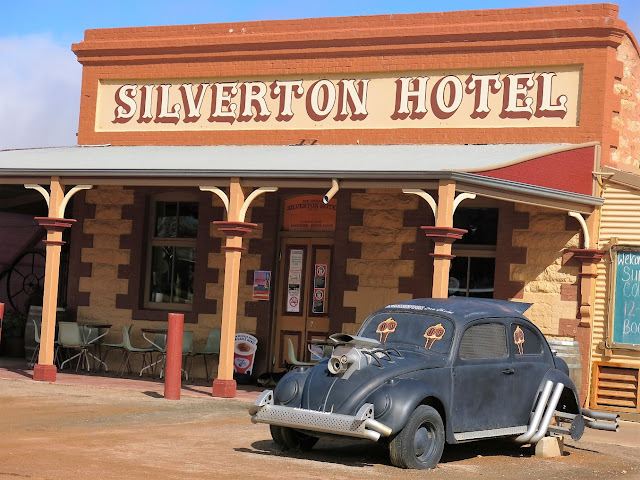 The first, and most famous of all, was the Silverton Hotel west of Broken Hill. This hotel first became famous because Mad Max was made there. It can now boast having hosted 200 plus movie crews down through the years. The walls of the pub are covered in snapshots of the stars and the casts and crew at work and relaxing. 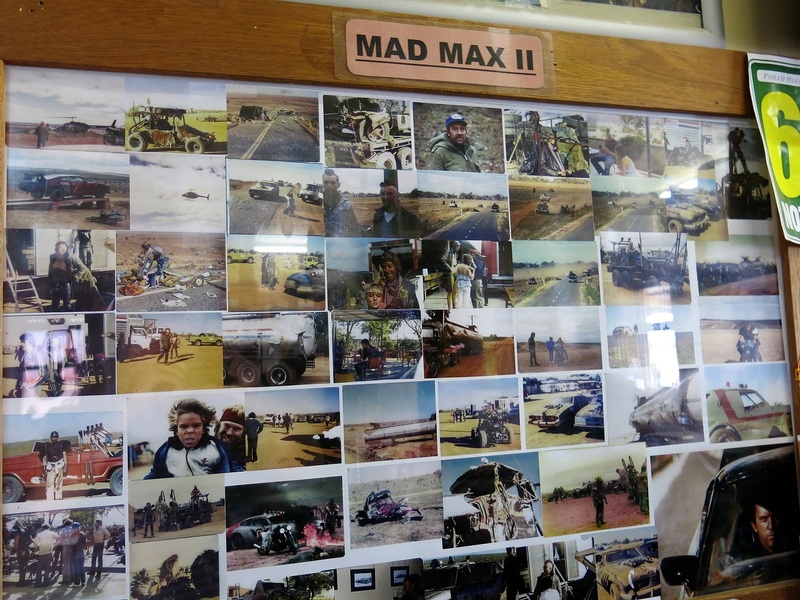 There is a Mad Max museum in Silverton and the town now features several renowned artists. The latest movie Mad Max: Fury Road was due to be filmed at Silverton, but unseasonal rains made the landscape too green for the production and it was made in Namibia. Back in the 1980s, the Crocodile Dundee movie producers chose a hotel at the remote west Queensland town of McKinlay and turned it into the Walkabout Creek Hotel. All the locals from around the district excitedly turned up to watch Paul Hogan perform in his first major movie role. They soon grew disillusioned with the movie making process as endless short takes were filmed over and over. The hotel inevitably became a tourist attraction and it was decided to move it lock stock and barrel to the Landsborough Hwy that passes along the eastern side of town. Today, a continual flow of travelers stops in to have a look at the legendary hotel. Parked out the front is the ancient old truck driven by Crocodile Dundee in the movie. It was donated to the hotel by John "Strop" Cornell who produced the film. Parked to one side is the Valiant ute driven by John Mellion who played "Wally" in the movie. An interesting fact is that only the exterior of the hotel was used in making the movie. For the interior shots, a hotel bar was built in a movie studio. 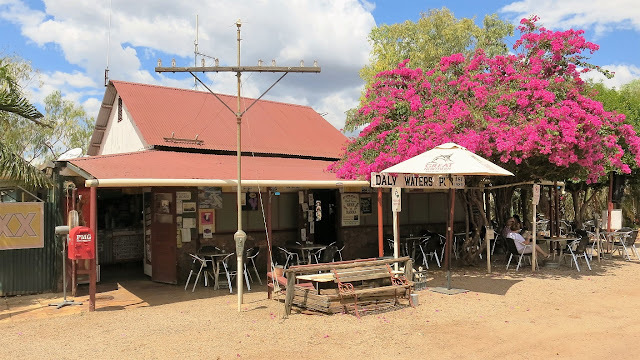 The Northern Territory has many fascinating pubs, but none is better known than the one at Daly Waters. Daly Waters Hotel sits just off the Stuart Hwy in the centre of the Northern Territory. It has been featured in a number of movies and TV shows and the most recent was Last Cab to Darwin starring Michael Caton.. Both the exterior and interior of the hotel are amazing. The first thing that strikes you is the vast collection of ladies bras hanging from the ceiling. There is also an equally vast collection of guys' undies hanging from the rafters. It apparently all started with bet years ago and kind of grew…and grew. Now the ceiling and walls are covered with every imaginable kind of clothing, photos, messages and hats. The exterior of the hotel looks like it is about to fall d0own and is propped up by a massive bougainvillea. People come from all around the world to see the hotel. In the beer garden I heard American, Asian and Irish accents. The pub came about because of the nearby airfield which was used by Qantas and other airlines as a refueling stop on flights to London in the 1930s. The Qantas hangar and the well preserved airstrip are still there. During WWII, it became an air force base, principally used to refuel bombers on their way north. The Walkabout Creek Hotel in McKinlay. The ancient tourist truck driven by Crocodile Dundee. The Daly Waters Hotel is famous for its bra collection. Silverton Hotel has featured in many movies. Photos from the Mad Max shoot near Silverton.